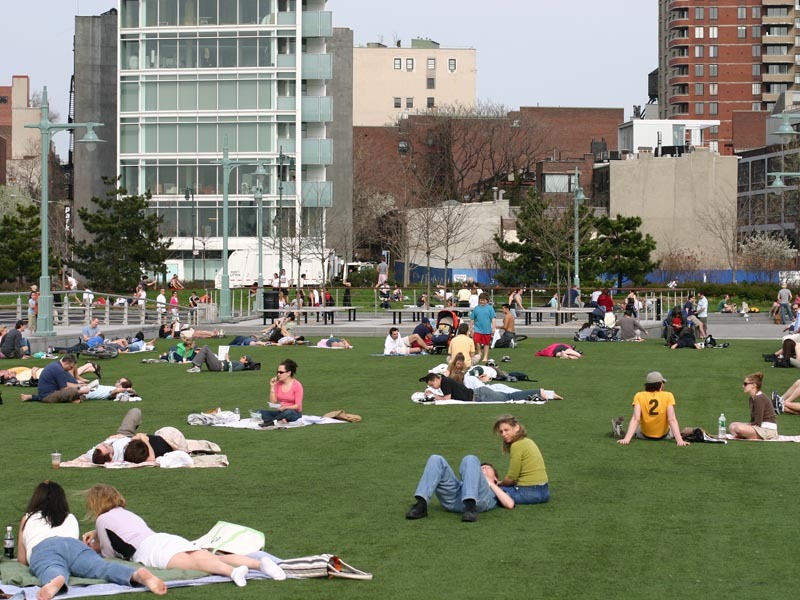 Pier 46 is within the newly reconstructed Park area and is geared towards passive recreation. The pier offers a passive turf play area, seating areas and a perimeter walkway. The esplanade between Piers 45 and 46 houses a food concession and restrooms. In this area you can also find the bow notch. This semicircle cut out from the espalande reminds us of the days when ships became too long for the Piers, and the bulkhead had to be pierced to accommodate the extra length. Hudson River Park‘s Pier 46 in April of 2004.